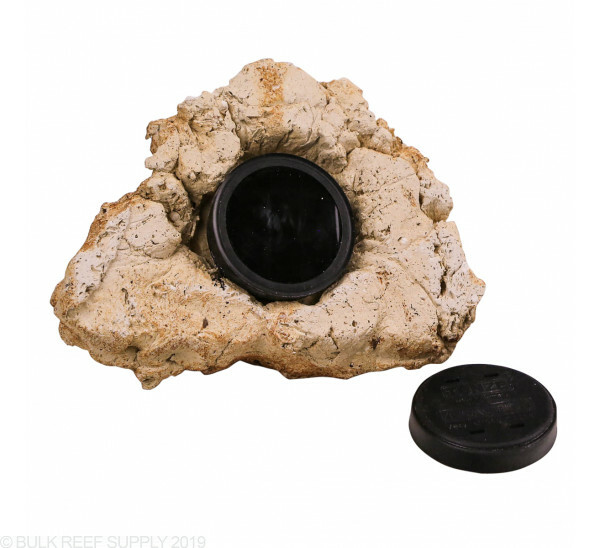 A visually pleasing magnetic frag rock to grow and sell your coral frags, or to add to your aquascape that you can place anywhere on the glass in your aquarium. 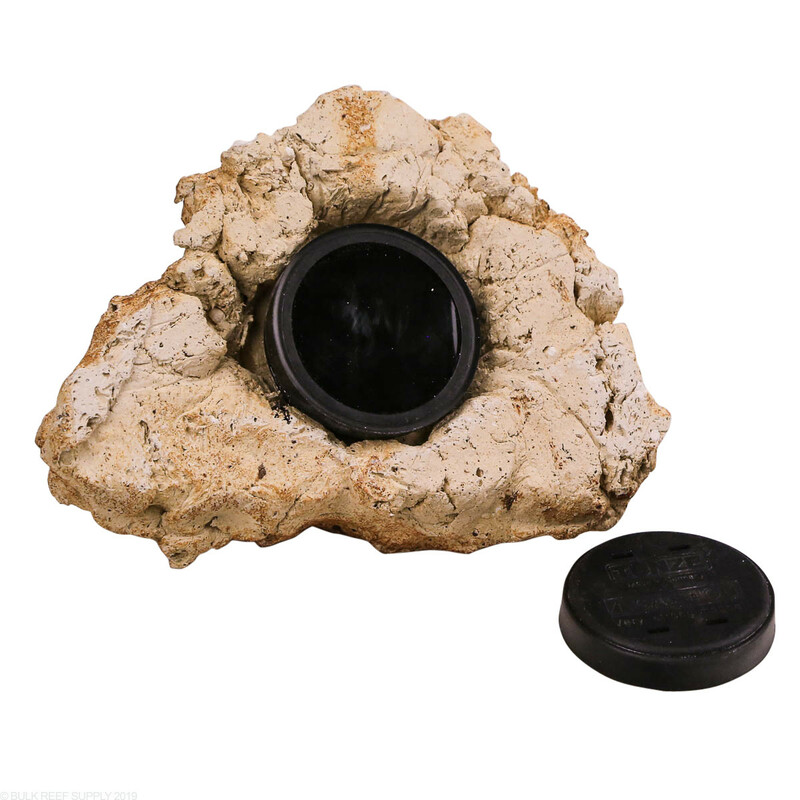 The highly porous ceramic rock has a very powerful magnet that is carefully embedded into the back side of the rock. 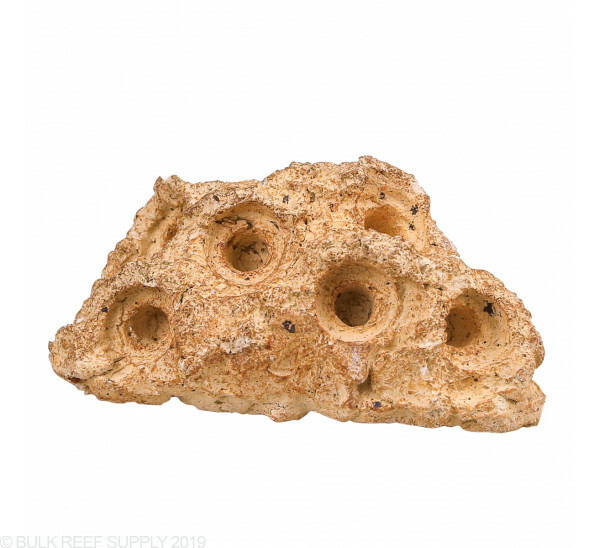 Holes are then strategically made allowing your corals frag plug to securely be placed in the rock. 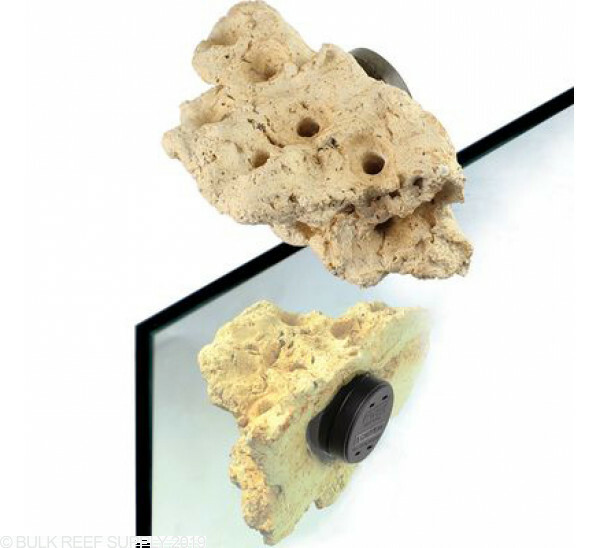 The Tunze Magnetic Coral Frag Rock is the best way to show off your frags in a display tank setting. 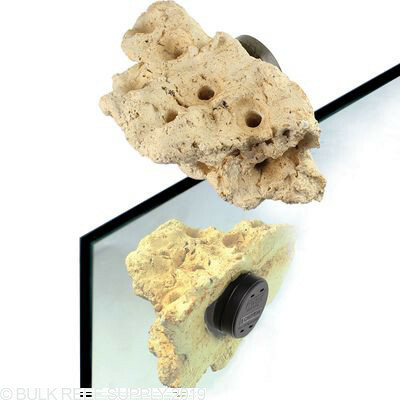 Letting you place the rock anywhere on your glass in the tank, and easily remove, add, and transfer frag plugs in and out of the rock. 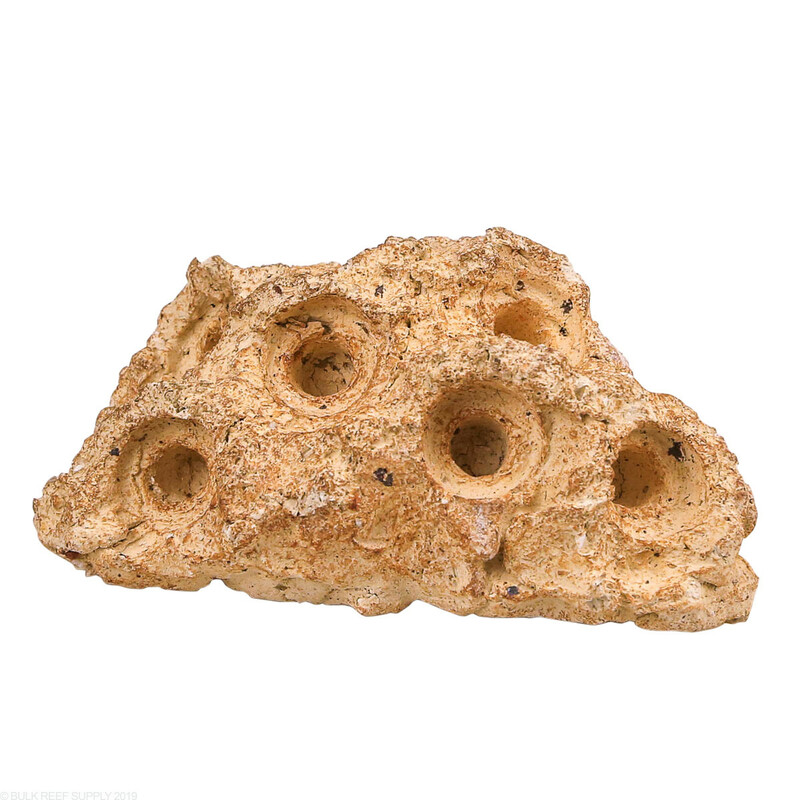 The holes in the rock will fit the most common types of frag plugs, and other mounts. The Tunze Magnetic Coral Rocks are hand made, and will be slightly different in appearance, and overall size from rock to rock. They are made with a super porous ceramic material that does not require curing and will grow just like live rock. 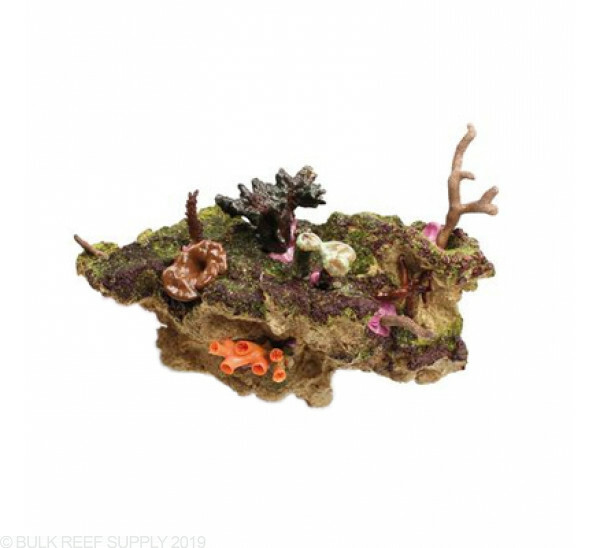 Average Dimensions: L 7" x H 5" x W 3"
*Glass thickness will affect the amount of dry weight the Magnetic Coral Frag Rock can hold. Glass that is 12mm (1/2") thick can hold up to 2.2 pounds of dry weight. Thicker glass, 15mm (0.65") can hold up to 1.0 pounds. We do recommend rinsing off any loose dust and debris that may be on the rock from the packing and shipping process. Yes I do. Some might find them unattractive, and most everyone will find them overpriced and/or inefficient, but I like how they look on the back wall of my aquarium. I'm letting a couple of them get completely overgrown with multiple different zoanthid color morphs; should be awesome when grown out. One tip: Take a dremel and ream out each hole before putting the rock in your tank, making each hole both wider and deeper. Then make sure to scrub out each hole very well after dremeling to get rid of any metal dust. Some frag plugs will not fit the standard holes well. I was looking for a way to add additional frags in my 45 gallon tank and this size "natural" frag rack works great. Does this have to be cured before adding to a tank? The Tunze rocks are actually made from a porous ceramic material and require no curing. 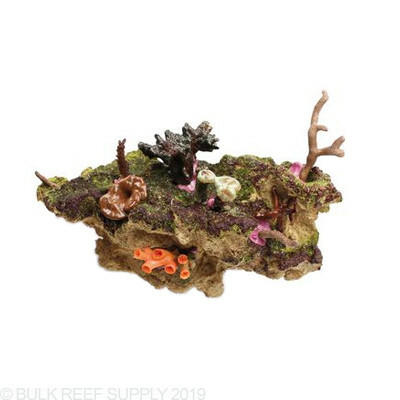 They will eventually grow coralline algae just like natural rock!